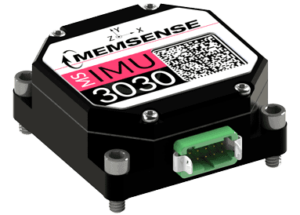 Memsense is a leading developer of high-performance inertial measurement units (IMUs) for demanding unmanned systems and defense applications. 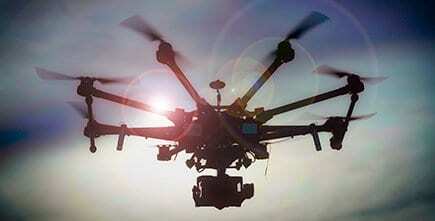 Our MEMS-based inertial devices and measurement systems are ideal for unmanned aerial vehicle (UAV) navigation and control, stabilization of antenna and weapons platforms on UAVs, UGVs, and other unmanned vehicles. In addition to off-the-shelf IMUs, we also offer custom-engineered solutions for specialized application requirements, such as unusual form factors, high angular rate and acceleration measurement, and operation in harsh environments including extremes of shock, vibration and temperature. Our in-house state-of-the-art engineering and test facilities enable us to create and fine-tune custom inertial systems to your exact specifications with a rapid turn-around time. Please get in touch with your requirements. 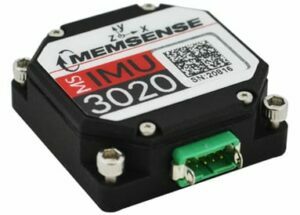 The MS-IMU3020 is our leading price-to-performance ratio miniature low-drift inertial measurement unit (IMU), with fully tested triaxial gyros, accelerometers and magnetometers that are calibrated over the full operational temperature range. Delivering gyro bias stability of 1 degree per hour and accelerometer bias stability of 15 μg, and weighing in at 20 grams in a 1.1×1.1×0.4 inch form factor, the MS-IMU3020 is ideal for unmanned aircraft applications, such as navigation, control, and stabilization of cameras and other payloads. The MS-IMU3020 is highly configurable, allowing you to fine-tune bandwidth, sample rate, gyro ranges and other parameters to your precise requirements. The system also requires no export license. 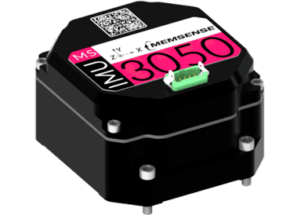 The MS-IMU3030 is an ultra-compact IMU that delivers unmatched low drift performance and robust operation. 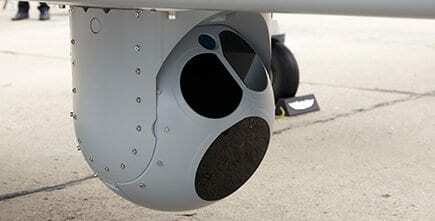 With a gyro bias stability of 0.55 degrees per hour and acceleration bias stability of 3μg, it can handle a variety of demanding and precise unmanned systems applications, such as inspection, navigation and stabilization. In addition to other configurable parameters, the MS-IMU3030 features a 40g dynamic range option thanks to its highly flexible auxiliary accelerometer. With a light weight of 25 grams and a low power draw of 1.35 watts, it is also ideal for SWaP-conscious unmanned platforms. The MS-IMU3050 is our highest-performance MEMS Inertial Measurement Unit. Leveraging fully-tested and calibrated triaxial sensors, and advanced algorithms and sensor architectures, it delivers a gyro bias stability of 0.3 degrees per hour and an accelerometer bias stability of less than 3 μg. It is a more compact, lower power, and cost-effective alternative to Fiber Optic Gyro (FOG) based IMUs and other high performance MEMS units. Featuring a wide range of configurable options, the MS-IMU3050 is designed to provide the highest level of inertial performance to unmanned vehicles and robotic platforms. By submitting this form, you consent for your details to be sent to Memsense and its authorized partners in order to respond to your inquiry. Depending on the location of the organization, your personal information may be transferred and processed outside of the European Economic Area.